"Mourning ring" with custom engraving found buried in Wales. Mr. Ron Pitman found a gold mourning ring while metal detecting on muddy, plowed farmland growing maize, in Gower, Wales. The outside is engraved with a trellis-style pattern. Inside reads an inscription "prepared bee to follow me." These words serve as a reminder to be spiritually and mentally prepared, as death may arrive at any time. It was a common practice during the 1600s to use an extra "e" in writing. 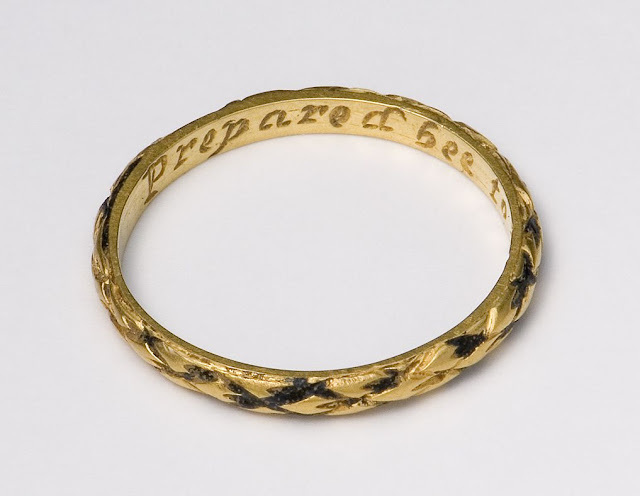 The use of mourning rings came in use during the Middle Ages and the height of their popularity was following the Great Plague of London in the 1660s. The names and date of passing of the deceased were engraved by grieving loved ones. When setting up a will people would often provide instructions and leave money for the purpose of buying and engraving such rings. 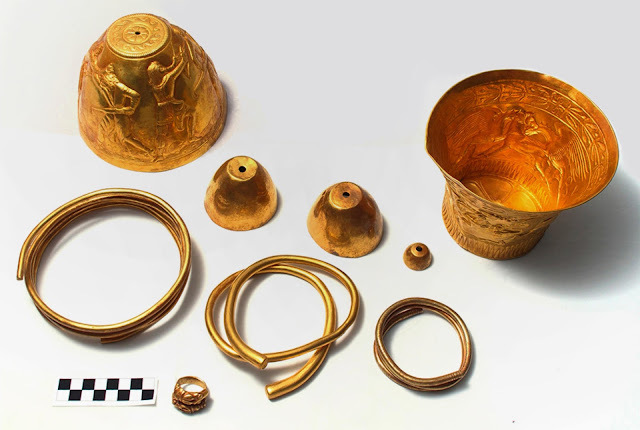 In the case of the Gower ring, the name of the deceased in whose honor the ring was engraved is not known and it is possible that the "me" mentioned in the wording may refer to death itself.